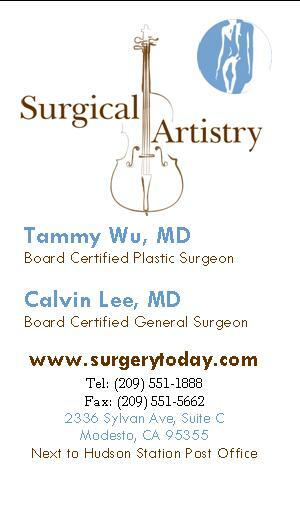 Plastic Surgery Modesto: Tammy Wu, MD - Veins too!. Links to Modesto Wepages. An fellow alumnus of Southern Illinois University. http://www.mdnomads.com/ MD friends in Modesto. http://www.wholehealthmd.com/hc/allergies/selfcare/0,2015,,00.html whole health md article on acupressure and allergies. It has actual acupuncture points. Listing of doctors (M.D. and D.O.) in the Stanislaus County and their most recent telephone numbers for your reference. The telephone number 578-1211 is the Sutter Gould operator. 577-3388 is for McHenry Medical Group. There are some Kaiser physicians listed here, but Kaiser keeps their own list.